Now one might think what’s so great about a fruit juice party!? 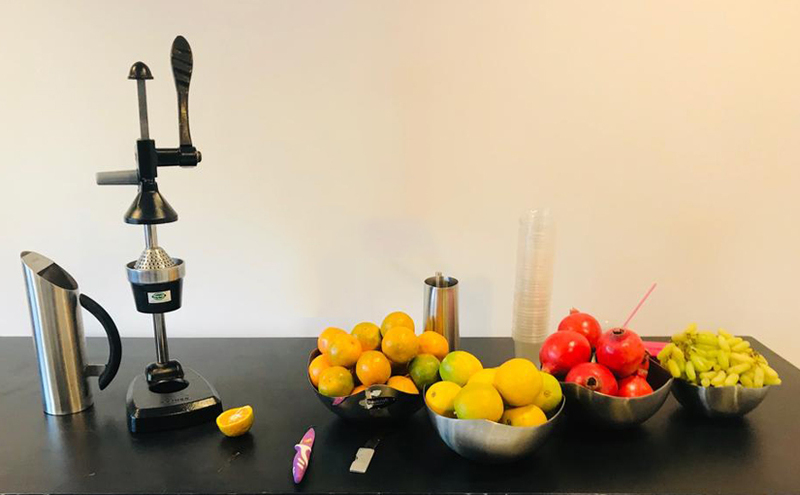 Well, this fruit juice party was different as the teams had to prepare juices from various fruits such as oranges, grapes, and pomegranates on their own with an easy to use juicer! 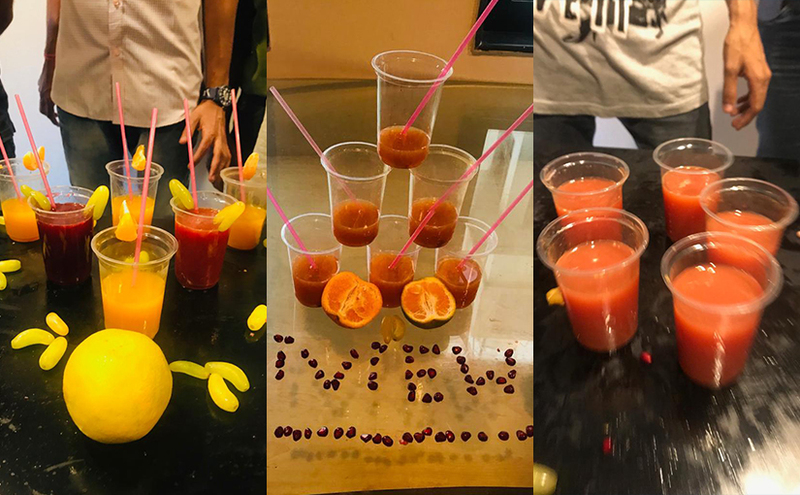 The key, however, was not just taste and hygiene but the secret recipe to winning hearts of all present was also how well did one decorate and display their creation! 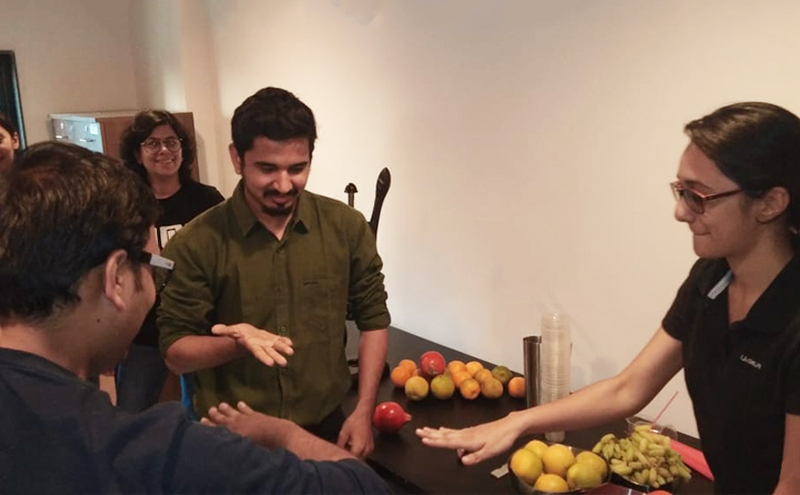 All members were divided into 03 teams and the items provided to them were juicer, fruits, sharp knives, and glasses. All senses of sound, smell, vision, and touch were awakened in a matter of minutes! It was a happy chaos of laughter, conversations and healthy competition. Now the question was “Who will perform first?” So it was decided to toss. 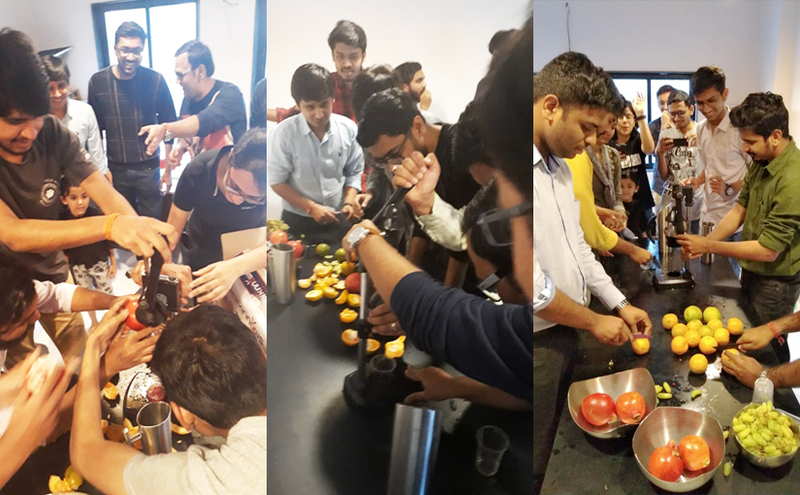 Every team came up with their team name, Team 1 named itself ‘Ganga Jamuna’ , Team 2 called itself ‘FruitNinja’ , and Team 3 announced itself as ‘On-demand Juice’ ! While the names were certainly fascinating, the time was to prove by performing. Ganga Jamuna started as other teams closely watched them while simultaneously planning their own winning strategies. As it was a time-based task, rival teams were chanting and demotivating to slow down the performance of the team in action. 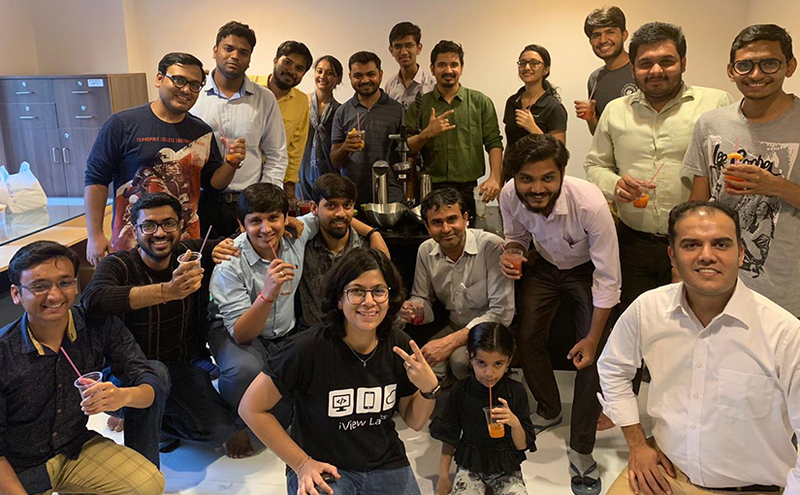 The office space which is usually bustling with deadlines to be met and work to be completed was filled with absolutely informal chatter and chirpiness. After about 30 minutes the teams came forward to showcase their creations and what sensory delight all of them had to offer! Fresh in taste, good to see and hygienic to consume is how we would sum up the efforts. All the teams did a great work and showcased their best. Most importantly, everyone had a fun time together. By the end of the event, each had discovered something new about the other. Something that would make professional bonds grow stronger and of course make our friendships last longer! Work in progress with fun and laughter! What better way to beat the summer heat than enjoying together with a fruity treat!